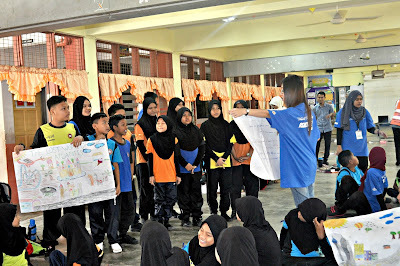 Click image to go to the blog. The blogshop obviously got so many beautiful skirts, necklaces and dresses suitable for all muslimah. 1. First of all , must like the AnisUmbrella Fb page (Link given above). 2. Make a simple entry about this GiveAway and dont forget to put on the banner in your entry (which provided up there) . 3. Do follow me , but this is not necessary , just to make you easier with this giveaway updates . 4. Do tag at least 2 of your friends and make sure that they aware with your tag. 5. DONE ! and leave your link HERE ! A pretty lace shawl from AnisUmbrella worth of RM30! 2 Flowery vintage necklace from AnisUmbrella worth of RM15 each! 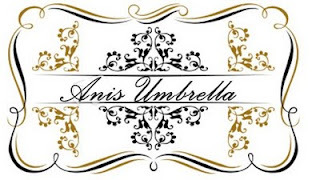 So, what you're waiting for, click on the AnisUmbrella image to go to their blogshop or you can simply go to the blog page in Fb as linked above!